A Fractured Light is the sequel to A Beautiful Dark, which was about a girl named Skye who found out that not only is she part of a world full of warring angels, but she has to choose between the light and the dark. In A Fractured Light, Skye recovers from a near death experience to find Asher, the “dark” angel she had fallen in love with, by her side. She returns home and continues trying to use her new powers, but she is still torn between allying herself with the Order or the Rebellion. To be honest I am really over the whole fallen angel genre in its entirety. It has been way too overdone over the past few years and it seems like every fallen angel book has the same generic story–girl meets fallen angel and falls in love way too fast and has to choose to be on the side of good or evil. A Beautiful Dark was exactly this, so I wasn’t very excited to read its sequel. However, I will admit that I liked A Fractured Light better than I thought I would. As predicted, Asher ends up being all shady and secretive towards Skye. He keeps trying to tell her that he loves her and always will but at the same time it seems like he’s just trying to get her on his side–the Rebellion. Skye kept getting on my nerves because she kept playing both sides of the fence–she would be having a steamy make out session with Asher and then she would sneak off to talk to Devin, who not only is part of the Order but also betrayed her in A Beautiful Dark. What I did like: we found out a lot more about Skye’s past, including who her parents were and why she was raised by her parents’ friend. Skye also had to deal with the repercussions of continuously lying to her friends and I was glad that they didn’t forgive and forget easily. The end of this book really redeemed it for me though–Skye finally started to think for herself and stand up for herself and began making her own decisions about the Order and the Rebellion. It ended (of course) on another cliffhanger so I will most likely read the next one, even though I am so over fallen angel stories. 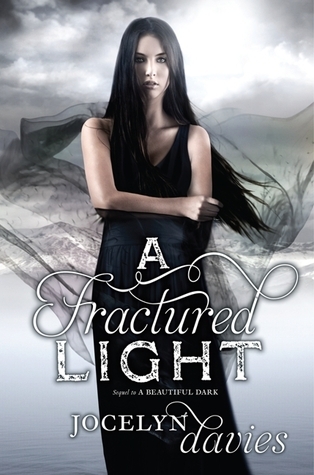 A Fractured Light was released September 25, 2012 and is the second book in the A Beautiful Dark series. There is no word yet on when the next book will be released.